On August 8, 1993, Dorsey Schroeder picked up the 2nd last-place finish of his NASCAR Winston Cup career in the Budweiser at the Glen at Watkins Glen International when his #68 Country Time Lemonade Ford was involved in a single-car accident without completing a lap of the 90-circuit race. The finish, which came in Schroeder’s sixth series start, was his first in a Cup Series race since Ocotber 6, 1991, when his #66 TropArtic Pontiac blew a head gasket after 2 laps of the Mello Yello 500 at Charlotte, 51 races earlier. In the early 1990s, Schroeder was one of several “road ringers” with aspirations of making his way in NASCAR. A contemporary of Tommy Kendall and Irv Hoerr, his career more closely resembles that of Boris Said, who this Sunday will make his final Cup start. In 1971, when he was only 19, he showed such promise that he earned his SCCA license, the first driver under 21 to do so. 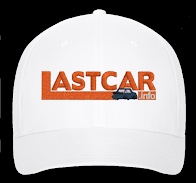 His professional debut – and his first championship – came in 1985, when he took the title in SCCA Lucas Pro Sports Renualt. Four years later, he was the 1989 Trans-Am Champion, earning him back-to-back appearances in the International Race of Champions (IROC) in 1990 and 1991. By then, he was also a driving instructor at the Skip Barber Racing School. Ironically, Schroeder’s best IROC finish came on the 2-mile oval at Michigan in 1990, when he finished 4th behind Dale Earnhardt, Terry Labonte, and Mark Martin. It was perhaps this moment that made him turn his attention to stock car racing. He entered the 1990 ARCA finale in Atlanta Motor Speedway, driving a #69 Ford for car owner Lucky Compton, and stunned in his debut by finishing 2nd, less than two seconds behind Cup Series veteran Charlie Glotzbach. When Compton prepared to enter a car in the Daytona 500, an event his cars made in 1988 and 1989 with Ralph Jones and Lee Raymond, he tabbed Schroeder to drive and acquired sponsorship from NAPA Auto Parts. Unfortunately, Schroeder tangled with Sammy Swindell on the final lap of his qualifying race, and the #69 missed the show. Eight months later, Schroeder was tabbed by Team III Racing to drive the unsponsored #24 Pontiac in the Budweiser at the Glen. He qualified 11th, finally set to make his Cup debut, and the Team III crew selected the pit stall directly behind that of J.D. McDuffie. In a race marred by McDuffie’s tragic crash on Lap 5, Schroeder worked his way to the front, leading three laps before mechanical issues near the end left him 17th. Over the next two years, Schroeder drove for four different team owners. The aforementioned last-place finish at Charlotte came while making a one-off for Cale Yarborough, driving in place of Lake Speed on the 1.5-mile oval. He next joined Junie Donlavey in a bid for the Daytona 500, and with sponsorship from Whistler Radar (which backed his Mustang in Trans-Am), turned in one of the fastest laps in time trials and finished 19th in the 500. 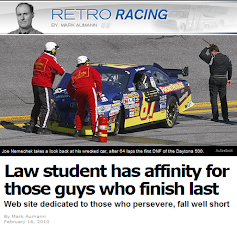 Next, Harry Melling tabbed him to drive at Atlanta, scene of his runner-up finish in ARCA. Though he only finished 35th, Racing Champions made a 1:64-scale diecast of his red #9 Ford. Later that year at Watkins Glen, he stood by as a relief driver for the injured Davey Allison, climbing into the #28 Texaco / Havoline Ford during an early caution and salvaging a 20th-place finish. He wouldn’t run Cup again until 1993, and for still another team – TriStar Motorsports. The late Mark Smith, who passed away just last month on July 22, had been fielding ARCA and Cup cars since 1989. His Cup debut came on May 7, 1989, when another road racer, Ron Esau, started 38th and finished there in the Winston 500. The team was still without a sponsor in the 1990 Daytona 500, but driver Hut Stricklin made it into the show. When Stricklin’s Pontiac was involved in a wreck with polesitter Ken Schrader on the final lap of his qualifying race, Schrader’s team owner Rick Hendrick actually provided Smith’s team one of the black Chevrolets the team had brought for the filming “Days of Thunder.” The car, renumbered Smith’s #68, can be seen at the tail end of the field during the climactic Daytona scene (13:20 before the end), a decal reading “Thanks Rick Hendrick” on the TV panel. Stricklin finished 30th that day, 10 laps down. One of TriStar’s most iconic cars debuted in the fall 1990 race at Charlotte. The team’s Pontiac was painted bright yellow with pink numbers on each door, representing the colors of new sponsor Country Time Lemonade. Behind the wheel was another driver with “Days of Thunder” ties, Tennessee short tracker Bobby Hamilton. A year earlier, it was Hamilton, along with Greg Sacks, Tommy Ellis, and others, who provided many of the action shots used in the film. One of Hamilton’s efforts at Phoenix had gone so well that the film crew wanted him to run further back in the pack to get shots of his #51 Exxon Chevrolet in traffic. Hamilton’s first run for TriStar at Charlotte yielded a 28th-place finish, but in the following year’s Daytona 500, he earned a surprising 10th, paving the way to a close Rookie of the Year victory of Ted Musgrave. In early 1993, Hamilton and Smith parted ways, and Greg Sacks was tabbed to fill out most of the remaining schedule. For the road courses, Smith selected Schroeder, who once again was relegated to a “road ringer.” Schroeder’s first ride in the #68 came at Sears Point in Sonoma, which came to a frustrating end when his Ford got stuck in the grassy runoff area off Turn 7, drawing the final caution of the afternoon. Coming into Watkins Glen, where Schroeder would get his next opportunity, the team was riding high. Sacks, always a strong plate racer, finished 6th the last time out at Talladega. At Watkins Glen, five drivers missed the cut in qualifying: 1990 24 Hours of Daytona winner Davy Jones in Henley Gray’s #77 Kenova Construction / X-1R Ford, Dave Marcis in his #71 STG Chevrolet, West Coast racer Jeff Davis in the #81 Van-K Kartins Wheels Ford, the Jim Rosenblum entry of Kerry Teague in the #29 Chevrolet, and owner-driver Jerry O’Neil in the #65 Oldsmobile. Schroeder qualified 21st with a lap of 115.557mph. Starting last in the 38-car field was K&N Pro Series West driver Scott Gaylord, who was in the only Oldsmobile to make the starting field. Gaylord drove for Jimmy Means in a #52 backed by the driver’s longtime sponsor Oliver Manufacturing. By the entrance to the Esses, Gaylord had slipped past Hut Stricklin, who now trailed the field in Junior Johnson’s #27 McDonald’s Ford. Up in front of him, Schroeder was working his plan, following 19th-place starter Kenny Wallace into the Esses, then changed lanes to follow 20th-place Phil Parsons. As the field entered The Bus Stop, the battle for 15th fell apart when Bobby Hillin, Jr.’s #90 Heilig-Meyers Ford made contact with Derrike Cope’s #98 Bojangles’ Ford. While Hillin spun out of the loop into the grass, Cope’s turned backwards – directly into the path of Schroeder. Schroeder’s left-front slammed into Cope’s left-rear, destroying the nose of the #68. Schroeder kept going, leaving Cope behind in last for a moment before he turned his car back around. Schroeder pulled into his pit stall – the very first at pit entrance – but was soon pushed behind the wall. Schroeder then climbed from the car and joined the ESPN crew in the booth. While Hillin later lost the engine, leaving him 35th, Cope recovered to finish 11th. Schroeder’s accident didn’t bring out a caution, but Rick Mast’s did. On Lap 7, Rick Mast’s #1 Skoal Classic Ford flew off the track in Turn 6 so hard that it caught air after slamming the tire barriers. Mast was uninjured, but his car was completely destroyed, leaving him 37th. Finishing 36th was Ed Ferree, a Busch Series driver from New York, whose #05 Frankland Racing Chevrolet clobbered the guardrail in the Esses on Lap 35. On the other side of 35th-place Bobby Hillin, Jr. was Ted Musgrave, who blew the transmission on Ray DeWitt’s #55 Jasper Engines Ford. Schroeder made just three more Cup starts after 1993, each time as a “road course ringer.” In 1996, he finished a career-best 13th at The Glen when he drove in place of Bill Elliott, who fractured his leg in a crash at Talladega. 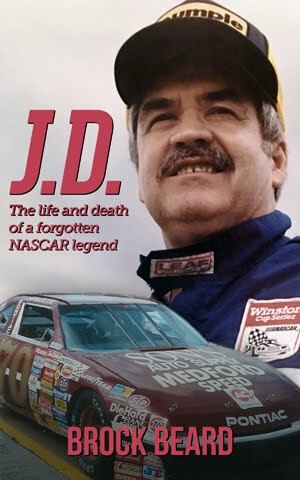 He reunited with Junie Donlavey the next year, again at Watkins Glen, but managed only a 31st-place finish. His final Cup start came at Sonoma in 2001, where he drove in place of then-rookie Jason Leffler in Chip Ganassi’s #01 Cingular Wireless / Special Olympics Dodge. Leffler, moved to a third #04 Dodge without any Owner Points, missed the field. His final NASCAR starts came in the Truck Series, where he ran four times from 1996 through 1998. His best finish in that series was a 4th at Heartland Park Topeka in 1997. After retiring from driving with 17 Trans-Am wins and a Grand-Am victory at Mid-Ohio in 1998 among his 40 pro circuit victories, Schroeder opened a restaurant in his native Missouri called “Dorsey’s Pit Stop,” which closed after a fire in 2012. Schroeder now lives with his family in Florida. TriStar Motorsports remains to this day, now under the ownership of Mark Smith’s son Bryan. The team fields the #72 Chevrolet for Cole Whitt, who himself finished last at Watkins Glen in 2014, as well as J.J. Yeley’s #14 Toyota in the XFINITY Series. 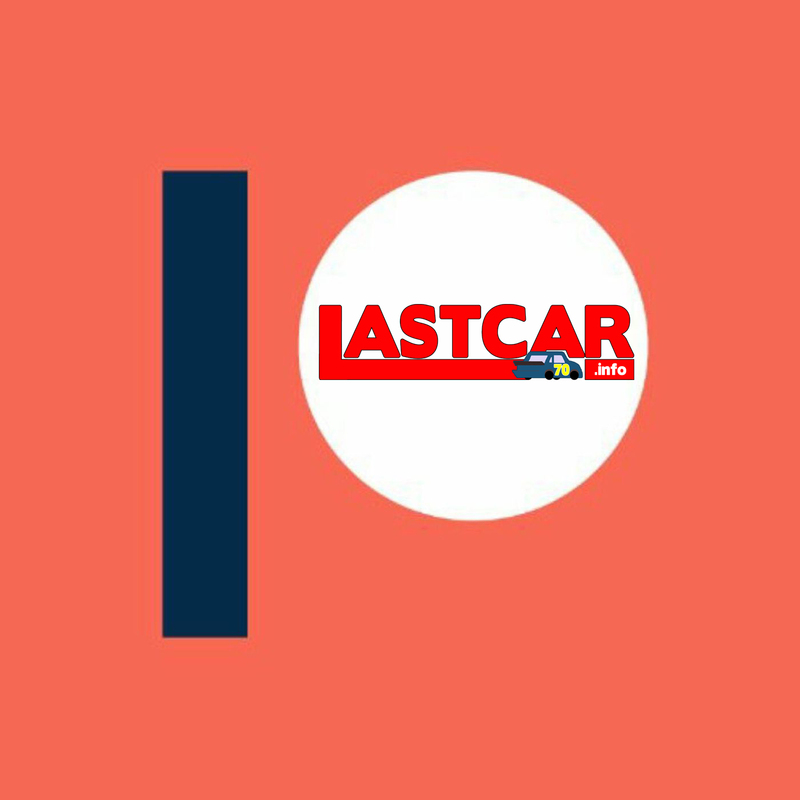 *This stands as the 20th and, to date, most recent last-place finish for car #68 in Cup, and the number’s only last-place finish in the series at Watkins Glen. 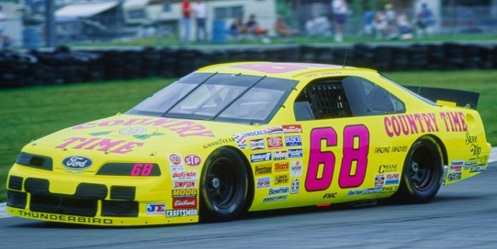 The #68 had finished last twice earlier in the 1993 season – first by Bobby Hamilton at Bristol on April 4 after an early engine failure, then at Dover by Greg Sacks on June 6 after a crash. *Schroeder was the last driver to fail to complete a lap of a Cup race at Watkins Glen until August 12, 2012, when the engine let go on Brian Vickers’ #55 MyClassicGarage.com / Aaron’s Toyota on the first circuit of the Finger Lakes 355 at the Glen.